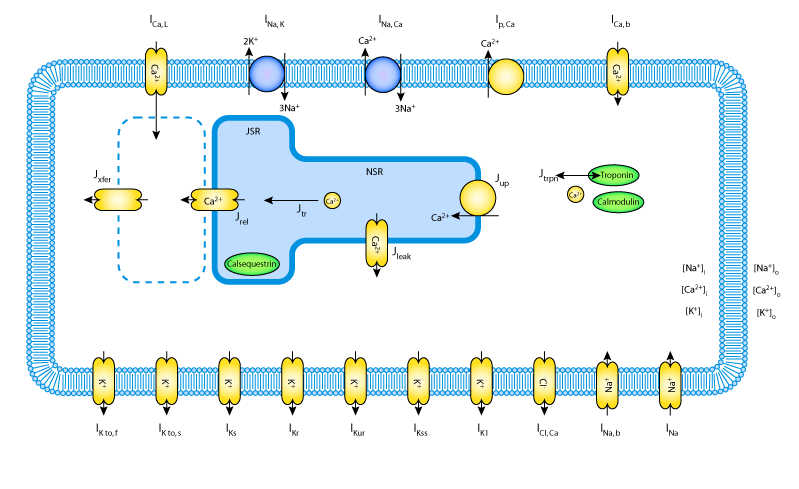 This CellML model runs in both OpenCell and COR to reproduce the the action potential traces from Figure 16 of the publication. This model represents the APICAL CELL variant as described in Bondarenko et al. 's 2004 paper.